Soni Art Studio was started in 1997 and is a family *collaboration which comprises of three talented artists, Shaheen and Tasneem (husband and wife) and Achmat Soni (Father). 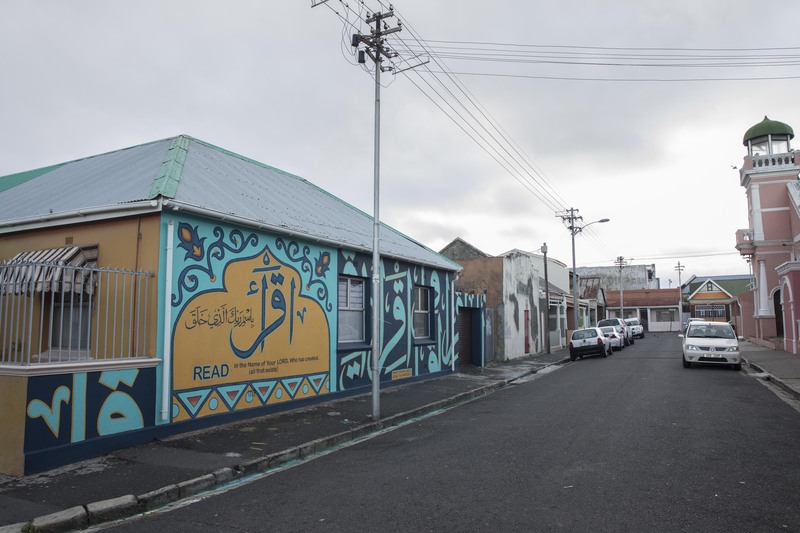 The husband and wife duo created the first Arabic Calligraphic public masterpiece which can be found across the mosque on corner Tennyson and Kingsley Street, Salt River, Cape Town. The artistic duo specializes primarily in Islamic inspired artworks. They are currently the exclusive provider of locally made Arabic Art in Cape Town. Their unique art form incorporates the versatile and decorative Arabic script and inherits its origins from the ancient art of illumination (decorative pattern work). Their style ranges from the exquisite Traditional to Abstract and Contemporary art, to beautiful still life and landscaped paintings to the delicate work of hand painted ostrich eggs. Shaheen and Tasneem have been painting officially for nearly 22 years. Their mediums include canvas, paper, metal, wood and beyond. The duo exhibited locally, nationally and internationally. Some of their highlights include representing South Africa in 2014 & 2015 in Pendik, Istanbul and 2017 in Tabriz, Iran. The duo credit Achmat Soni for inspiring them with his exquisite works, with whom they later started an Islamic inspired art school with teaching Islamic art classes for all ages. 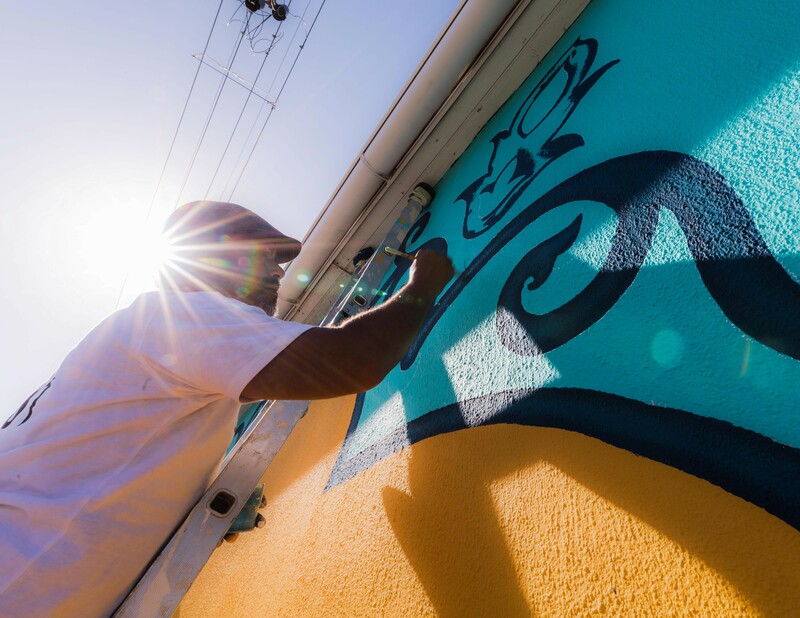 Their contribution to the International Public Art Festival under the theme: “Generation Next: Educate; Collaborate; Empower” focused on the educative pillar. They chose a very significant verse from The Holy Quran. The first word revealed to Prophet Muhammad (Peace and Blessings be Upon Him), by Angel Gabriel, which was “Iqra” meaning “Read”. This is how the Islamic system was born. The verse talks about opening yourself up to knowledge based progression. There is a renewed enthusiasm for the academic study of the Quran. This lead them to the concept of “ Iqrah Bismi Rabbi Kallathee Khalaq – READ , In the name of Your Lord who has created. (all that exists)”. They wanted to inspire people especially youth through their message to seek knowledge. With knowledge comes power. The power to overcome any obstacle. 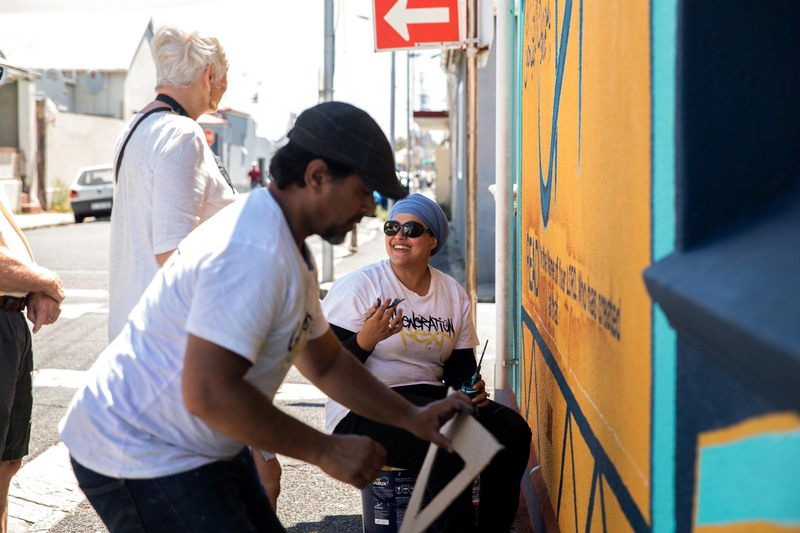 The inclusion of the English subtitles extends the reach and benefit of their message to all who might encounter the mural. They also wanted to showcase their cultural heritage (Cape Town Muslim Community) by incorporating their fusion of cultures in their design. We had chosen a fusion of modern and traditional style artwork to appeal to the older and younger generation. Innovation of Islamic Art being done but in a positive manner.